The Elementary Education Program is ideal for individuals who are passionate about making a difference through teaching young children and want to become change agents in education. The program prepares highly qualified teachers for work in diverse school settings in Early Childhood through Grade 6. Graduates earn a BSEd and prepare for Elementary Generalist certification. Supplemental certification may be added in English as a Second Language, Gifted & Talented Education, or Special Education. The program can be completed during the standard four-year collegiate experience. Field experiences begin the first semester and are layered with progressively more complex situations, so that preservice teacher candidates have sustained opportunities to deepen and expand their knowledge for the subject and effective teaching practices. Field experiences are distributed between urban and suburban schools so that each candidate works with students of different ethnic, religious and socioeconomic backgrounds and students of varying levels of achievement and different aptitudes, interests and exceptionalities. Students are guided by passionate and knowledgeable faculty who have extensive elementary classroom teaching experience, teacher education experience and content preparation. 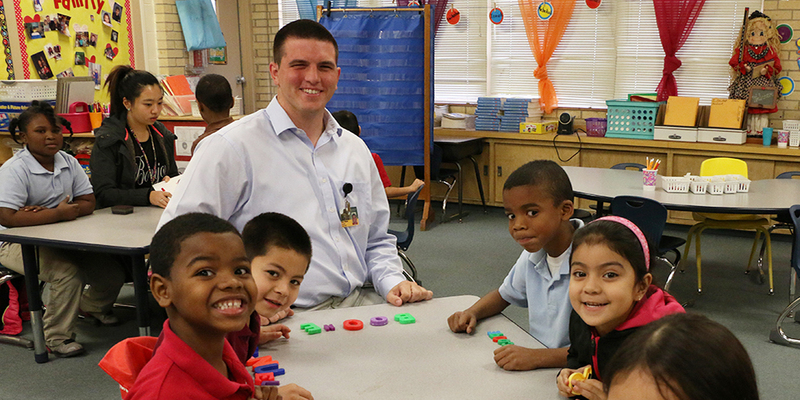 Because of the rigor of the elementary program, graduates are in high demand. They are highly recruited by top school districts, and they make an immediate impact on the campuses. Read more about the Special Education Supplemental, offered through the Department of Educational Psychology.